As mentioned in the WP News bulletin, the Commission has launched a fairly comprehensive deregulatory agenda called REFIT that touches on, among other things, the information and consultation directives. 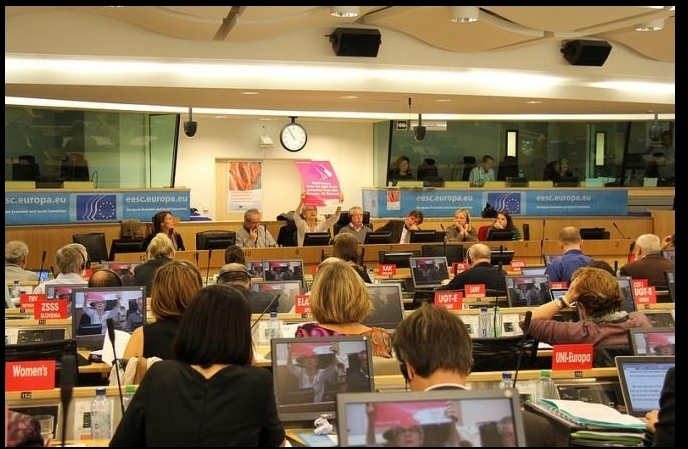 In the meantime, the ETUC Executive Committee at its meeting of 3–4 December 2013 adopted a resolution asking the Commission to stop the deregulation of Europe and to ‘Rethink REFIT’. 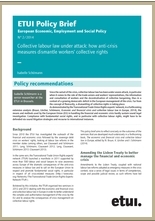 In the eyes of the ETUC, REFIT is not only ‘used as an excuse to get rid of various pieces of legislation, but it is also a serious attempt to destroy the social dialogue and the whole social acquis’. REFIT Programme launched: Another deregulatory milestone? In October 2013, the Commission issued a Communication on Regulatory Fitness and Performance, also known as REFIT. With a view to identifying burdens, gaps, and inefficient or ineffective measures, the REFIT programme aims to systematically map and screen the entire body of EU legislation, including both legislation in force as well as legislation which is in the pipeline. In this Communication, the Commission lays out where it sees its successes so far in simplifying EU legislation. Against this background, the Communication goes on to identify specific legislative proposals or provisions that it intends to repeal, withdraw, postpone, evaluate, or newly propose. Amongst the very wide range of legislative areas addressed are EU legislation on information and consultation, as well as company law, health and safety and working time. 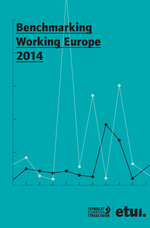 In July 2013, the European Commission released the results of the Fitness Check pilot project launched in 2010 to evaluate the effectiveness of three information and consultation Directives: the 1998 collective redundancies Directive, the 2001 transfer of undertakings Directive, and the 2002 Framework Directive on information and consultation of workers. Overall, the Commission’s assessment is positive; however, some deficiencies have also been identified. Following the lack of legal initiative from the European Commission on the issue of anticipation and management of restructuring, the European Parliament adopted on 15 January a resolution calling for a legal act based on a series of recommendations drawing upon MEP Alejandro Cercas’ report. On 20 March, the European Economic and Social Committee adopted an own-initiative opinion on ‘Employee involvement and participation as a pillar of sound business management and a balanced approach to overcoming the crisis’. The exercise on the ‘Fitness Check’ launched in 2010 by the European Commission looking at three I&C Directives is coming to an end with the final synthesis report delivered by the Deloitte Consulting Agency and presented to representatives of the members states’ labour ministries and EU social partners at two meetings in July and October 2012. Deloitte concludes that the directives are ‘broadly fit for purpose’ in terms of promoting a minimum level of information and consultation (I&C) throughout the EU/EEA. The results gathered during the fitness check exercise are to be presented in a Commission Communication in 2013, outlining the key conclusions and next steps.